Sophomore Carson Deines led the way for the Rangers in his varsity lacrosse debut, scoring 7 goals while assisting on 4 others. 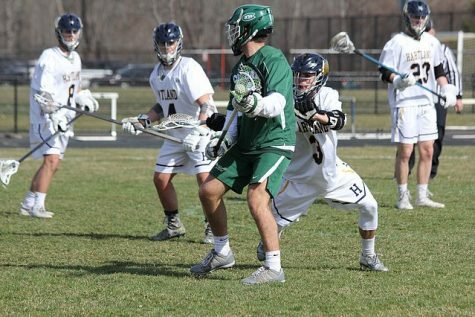 Closely following him in the box score was senior Evan Metaj, who tallied 6 goals himself. 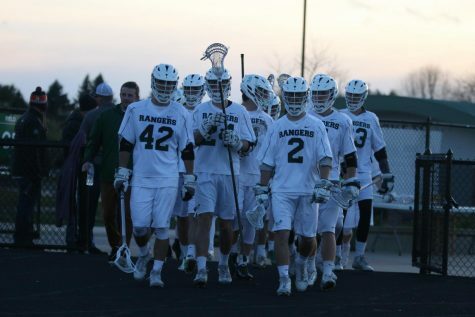 Overall, the Rangers had a dominating performance in their 23-6 victory over Haslett. However, to start the game, the team started off slowly. Defensively, the team showed some rust throughout the first quarter and a half. Fortunately, the offense was as loose as ever, as Carson, Evan, and junior Jackson Clay led the charge. 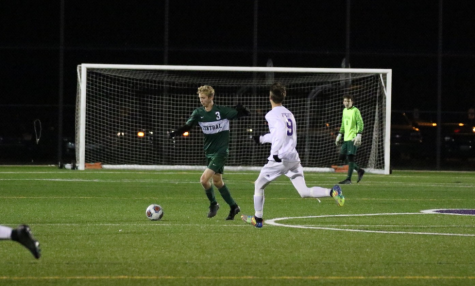 Carson and Evan dominated the box score in goals scored, but Jackson added 3 goals and had plenty of assists to go around for his teammates throughout the game. At the halftime whistle, the Rangers led 12-5, showing the offense is still there from last year. The only negative to look at in that first half was defense. In the first quarter and a half, the Rangers gave up 5 goals. 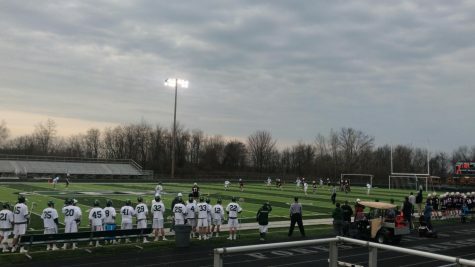 Towards the middle of the second quarter, things started to pick up, and Haslett did not score for the rest of the half. Senior Cam Deines showed his consistency from last year, playing great defense throughout the entire game. In the second half, it was more of the same from the offense and great improvements from the defense. The offense tallied another 11 goals in the second half, while the defense only conceded 1. 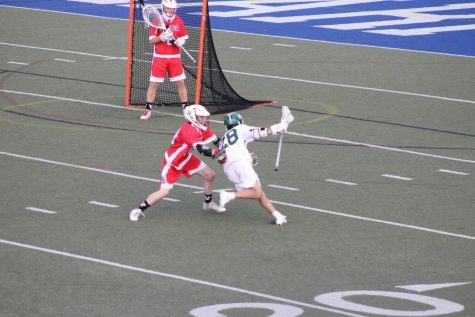 Much of the fluid movement from the defensive side of the ball to offense was thanks to junior middie Chris Junkunc, who facilitated the ball well and stopped many of the opponent’s attacks before they reached a threatening area. The game finished with a final score of 23-6 to give the Rangers their first victory of the season. 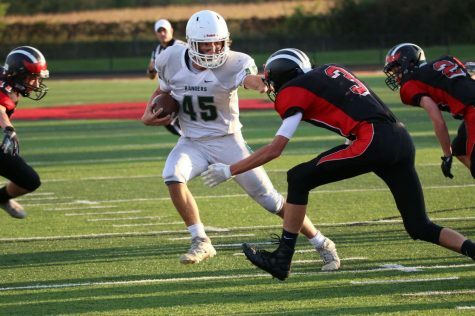 Heading into the game on Saturday against Carmel (IN), the team will be looking to take this momentum into the matchup against the Indiana powerhouse.